If you recently installed Ubuntu alongside Windows or any other version of Linux alongside Windows, then you may have come across an issue where the computer boots into Windows without an option for booting into Linux. This is a common side effect of computers with the EFI Boot Manager. 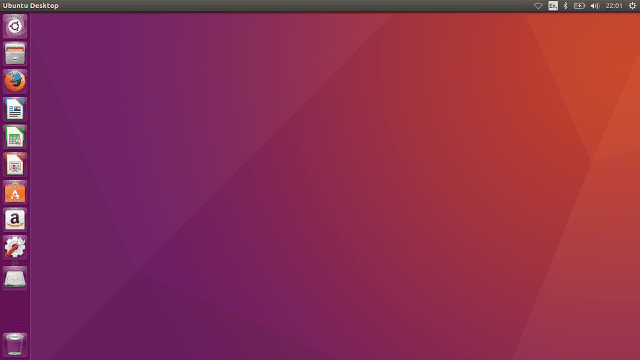 You can get your computer to show a menu with options for booting into either Ubuntu or Windows. To follow this guide, you need to boot into a live version of Linux. Insert the USB drive or DVD that you used to install Linux on your computer. Hold down the Shift key and restart the system while holding down the Shift key. When the screen appears, click on the option for booting from a USB device or DVD. Linux should now load into the live version of the operating system in the same way it did when you first installed it. Here's how to use EFI Boot Manager to manipulate the boot order so you can choose to boot into Linux or Windows. Open a terminal window by pressing Ctrl+ALT+T at the same time. The sudo part of the command elevates your permissions to that of the root user which is required when using efibootmgr. You must be the root user to use efibootmgr. The BootCurrent line shows which of the boot options was used this time around. In this example, 0004 is Ubuntu. The Timeout tells you how long the menu appears before the first boot option is chosen. It defaults to 0. The BootOrder shows the order in which each option will be loaded. The next item in the list is chosen if the preceding item fails to load. In the example, the system is going to boot 0004 first which is Ubuntu, then 0001 which is Windows, 0002 networks, 0005 hard drive, 0006 CD/DVD drive, and finally 2001 which is the USB drive. If the order were 2001,0006,0001, the system would try to load from a USB drive. If no USB drive were present, it would boot from the DVD drive, and finally, it would boot Windows. The most common reason to use the EFI Boot Manager is to change the boot order. If you have installed Linux and for some reason Windows is booting first, then you need to find your version of Linux in the boot list and make it boot before Windows. You should be able to see that Windows boots first because it is assigned to 0001, which is first in the boot order. Ubuntu won't load unless Windows fails to boot because it is assigned to 0004 which comes after 0001 in the boot order list. It is a good idea to place Linux, the USB drive, and DVD drive before Windows in the boot order. To change the boot order so that the USB drive is first, then the DVD drive, followed by Ubuntu and finally Windows you would use the following command. Note that if you fail to list all the possible options, they won't be listed as part of the boot order. This example shows that 0002 and 0005 will be ignored. Using the above list this would mean the next time the computer boots, it will boot from the network. If you change your mind and you want to delete the next boot option, then run the following command to cancel it. If you want to be able to choose from a list each time your computer loads then you can specify a timeout. The above command sets a timeout of 10 seconds. After the time has run out, the default boot option is chosen. If you have dual-booted your system and you want to revert to just one system, then you need to adjust the boot order so that the one you are deleting isn't first on the list. You want to remove the item from the boot order altogether. The first -b selects the boot option 0004, and the -B deletes the boot option.